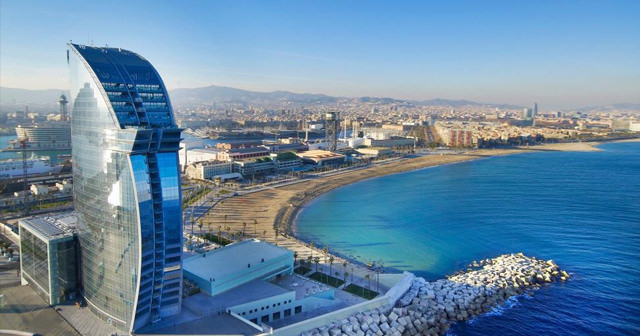 A bar with a thoroughly London personality in a glorious Mediterranean setting, Eclipse at the W Hotel Barcelona is on the 26th floor of Ricardo Bofill’s striking contemporary hotel on the beachfront along the famous Barceloneta boardwalk, with stunning panaromic views of the ocean and the city. Accessed via an express lift the bar, designed by Isabel López Vilalta, is a hot destination for local tastemakers and global jetsetters alike. 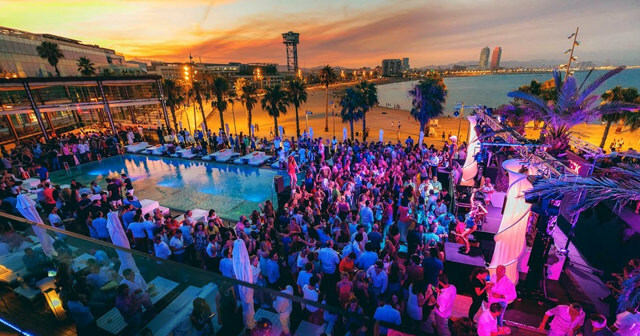 Serving the renowned and innovative cocktail menu so popular in its Chelsea and South Kensington bars, Eclipse Barcelona guests can also enjoy fresh sushi, crispy tempura, spring rolls and light bites from the grill, accompanied by world class DJs and live performances. 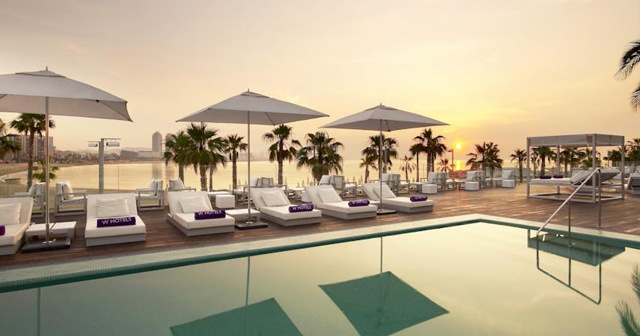 Eclipse is located on the 26th floor of the W Hotel in Barcelona. 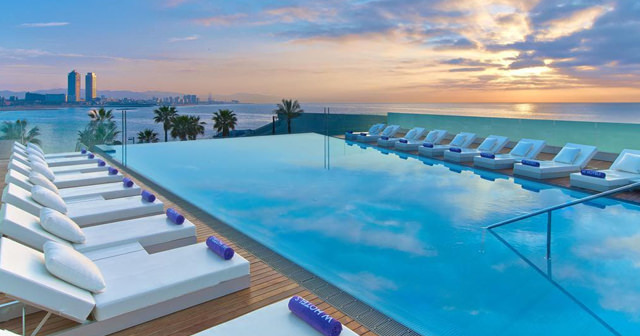 Eclipse has stunning ocean views and also has a party space by the pool on the ground floor. How much is cover charge at Eclipse? There is usually no cover charge to get into Eclipse. How long will I have to wait at Eclipse? There should be no wait to get into Eclipse on most nights and any waits will be minimal. There may be a wait on nights when there is a big event by the pool. This varies based on the event schedule. What are the best nights to go to Eclipse? This depends on what event is happening on a given night. Most nights at Eclipse will be good and the views are always stunning. What is the dress code at Eclipse? During the day by the pool you can get away with casual clothes but at night dress to impress! Collared shirt / jeans / dress shoes for guys. The dress shoes are especially important as many people have reported not getting in because of their shoes. Avoid anything that can be considered sportswear (track jackets, jerseys, sneakers, hats, etc). How much do drinks cost at Eclipse? Expect to pay 10-15 Euros for cocktails, check our Eclipse bottle service page for bottle prices. What kind of music do they play at Eclipse? The music at Eclipse varies based on the night’s event. You can usually expect house and electronic music with some R&B and hip hop. Where can I find an list of upcoming events / DJs at Eclipse? You can download the Discotech app to see upcoming events, and book tables for Eclipse.